As the founder of Allen Law Firm, Scott J. Allen has 20 years of experience litigating and trying cases in state and federal courts. He has also helped countless clients resolve disputes through alternative dispute resolution mechanisms such as mediation and arbitration. 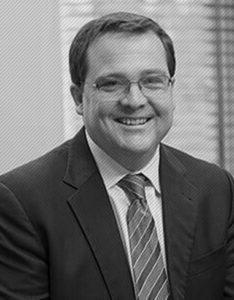 Scott also prides himself on aggressively representing his clients’ interests while at the same time offering his clients practical advice on how to achieve a cost-effective resolution of their disputes and protect their rights. His practice areas include personal injury, employment litigation (wrongful termination cases), special education, and intellectual property. To speak with Attorney Scott Allen, schedule a free consultation at (831) 901-3901! Scott understands that an accident can change your life, or the life of a loved one, in an instant. Injuries leave accident victims and their families unable to work, facing mounting medical bills, and unable to engage in activities that once gave pleasure. He founded Allen Law Firm in order help injury victims and their loved ones get the compensation they deserve for their injuries He has handled a wide variety of cases involving personal injuries or wrongful death, including cases stemming from automobile accidents, bicycle accidents, slip, trip, and fall accidents, pedestrian accidents, toxic exposures, drunk driving accidents, government tort claims, and medical malpractice. Scott strives to give his personal attention to all of his cases and act as an aggressive advocate for his clients’ interests to get them the compensation they deserve for their injuries. In the area of special education law, Scott seeks to protect the educational rights of children with disabilities to receive the benefits of a free and appropriate public education (FAPE). In this regard, he represents students and parents to ensure that school districts provide assessments and determine student eligibility to receive special education support. Scott also provides advice and counsel to parents and students to prepare for IEP meetings to discuss 504 plans. In situations where the parents and school district have been unable to agree, he provides legal counsel to parents regarding due process complaints, dispute resolution sessions, and, if necessary, due process hearings. He also provides counsel in cases of school discipline involving students with disabilities, including manifestation hearings, and expulsion/ suspension processes. In his 20 years as a Monterey personal injury attorney, Scott has helped his clients recover millions of dollars. With Scott J. Allen, you get the representation of an experienced attorney who is passionate about helping you obtain justice as well as the compensation you deserve. Schedule a free consultation when you call Allen Law Firm at (831) 901-3901!